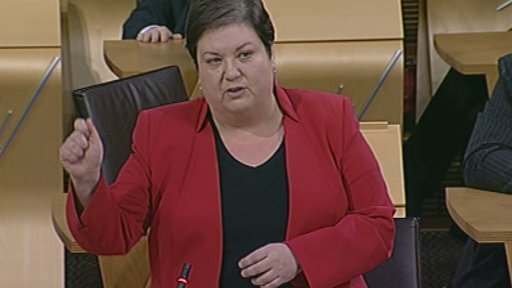 Scottish Labour’s Health spokeswoman Jackie Baillie has today written to Audit Scotland to ask for an urgent inquiry into the failure of NHS Boards to meet Accident and Emergency waiting time targets. Ms Baillie said: “The SNP are letting down NHS staff and patients by failing to deliver on the targets set on A&E waiting times. “So far their answer to the crisis has been to lower the target, yet indications are that the majority of health boards will still not meet the new levels required. It’s simply not good enough to lower the bar if targets can’t be met, we need to know why A&E waiting times are increasing and what can be done to ensure the NHS can deliver services more effectively. “Instead we are losing nursing staff across Scotland, reducing the number of beds and seeing swingeing budgets cuts which piles the pressure on to our healthcare professionals. These targets were intended to ensure the best possible treatment for patients. You will be aware that there are serious issues with the waiting times performance of Accident and Emergency departments across the country. In the interest of achieving a meaningful resolution to the issue I would like to request that Audit Scotland undertakes an urgent inquiry into the reasons behind such poor performance. January this year saw the worst Accident and Emergency waiting times figures since the introduction of the four hour target. Indeed, the Scottish Government has failed to meet its target for Scotland as a whole since 2009. In March 2013, only four NHS Boards achieved the standard expected of them. There is something seriously wrong with the system that needs to be addressed. Reports of patients like John McGarrity waiting eight hours on a trolley in a freezing cold corridor are dismissed by the Health Secretary as “not a true reflection of the National Health Service” despite staff saying trolley waits are becoming a common occurrence. Patient groups have also raised concerns about the suitability of staffing levels at A&E units to deal with demand. Only this week it was revealed that emergency beds made available to deal with capacity issues over the winter continue to be used to meet demand. The pressures on our health service, including our Accident and Emergency services, appear to be growing and it is essential that the Scottish Government’s response to such pressures is adequately and independently scrutinised. Patients and our hard working NHS staff deserve answers and a meaningful, long term resolution to this problem. I hope that Audit Scotland can assist and would be happy to discuss the matter in more detail.